New machine in Warsaw - TURNING GEAR | Eclipse Print a. s.
The machine park of our printing house has been enriched with a new device. 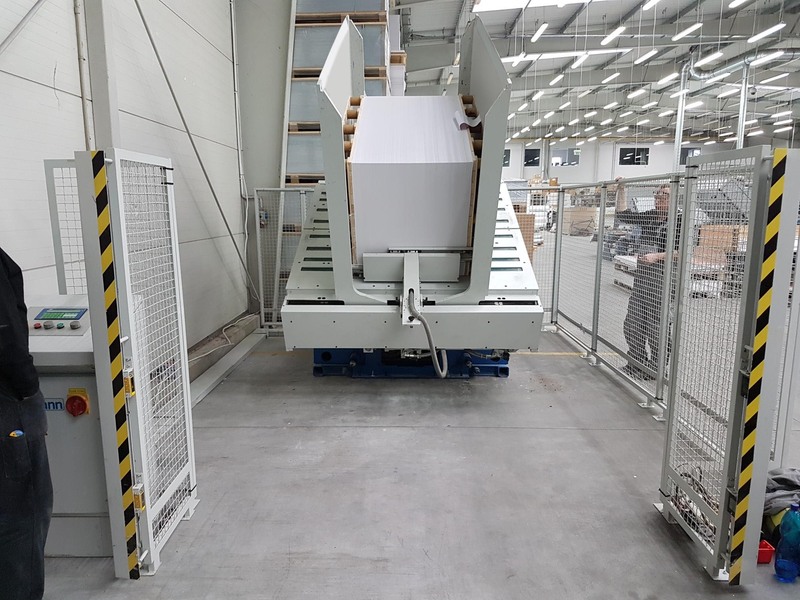 This is called sheet rotor, a type of press that allows you to immobilize the entire pallet with a stack of sheets, and then - lift the load, invert it and set it up again so that the sheets that previously were at its base are on top of the stack. In other words - the rotor allows for a few minutes to transfer the printed edition in a way that allows it to be placed in the printing machine for printing on the other side of the sheets. 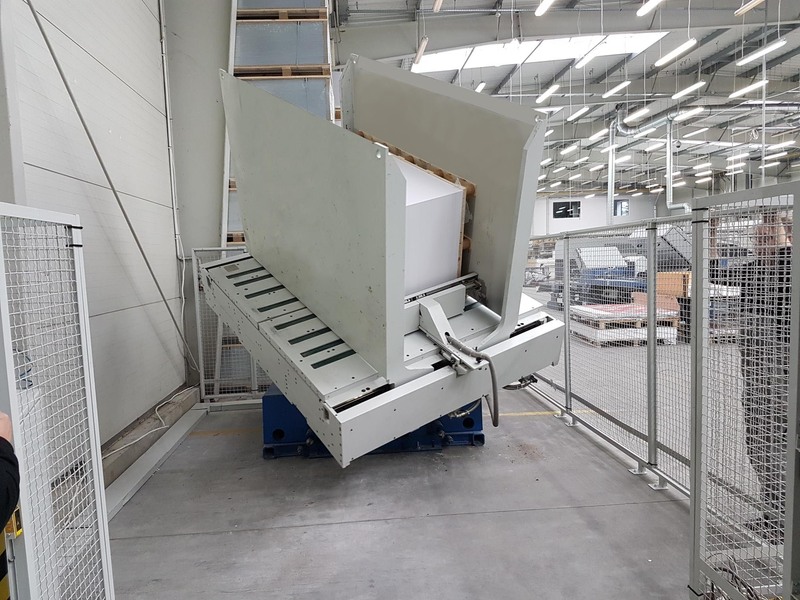 This device is therefore naturally a complement to our largest KBA Rapida 205 printing machine, which, with the used paper formats (up to 205 × 150 cm), posed difficult challenges for our printers due to the necessity of manually reversing the stack, which - even at small expense - it was a difficult, long-lasting process and, moreover, it always posed a threat of damage to the sheets. Currently, this process has ceased to be a problem, and the whole operation - as stated above - is limited to a few-minute operation. The Baumann BSW 10 also has a shaker function, i.e. 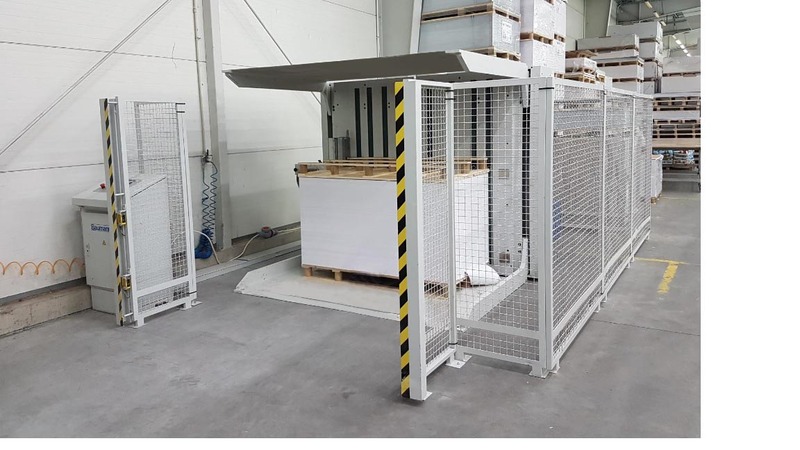 it can be used to align loosely stacked sheets, and aerate the sheets on the pallet, which makes it also suitable for other production stages, than just reversing with two-sided printing. 19. 3. 2019 • Eclipse has passed PSO test in accordance with the ISO 12647 based on Fogra standards. WHICH FLATBED MACHINE IS THE BEST?